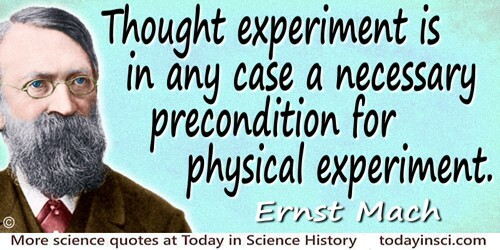 Austrian physicist and philosopher who established important principles of optics, mechanics, and wave dynamics. 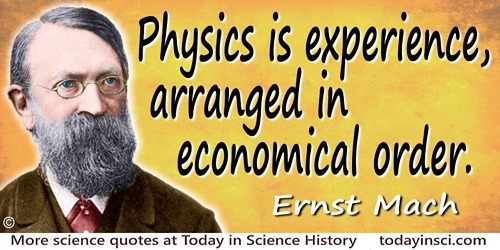 He introduced the “Mach number” for the ratio of speed of object to speed of sound is named for him. About the electron. As Mach called out from the audience, in German (“Hab’s aans g’sehn?”), at one of Ludwig Boltzmann’s lectures on atoms. 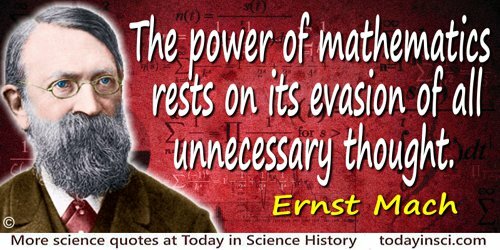 This was Mach’s frequent retort upon any mention of the atom having electron orbits. 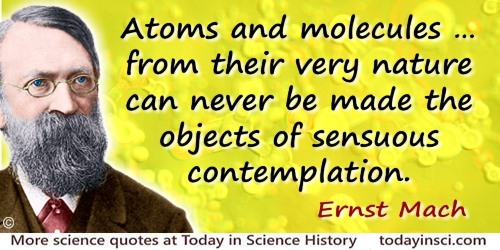 He was a fierce critic and held that science should stick to only phenomena directly observable by the senses. This quote is seen widely, without citation. For example, in Daniel Greenberger, Klaus Hentschel and Friedel Weinert, Compendium of Quantum Physics: Concepts, Experiments, History and Philosophy (2009), 615. Professor of Physics at the University of Vienna, 1913, in The Book of Heroic Failures by Stephen Pile (1979). 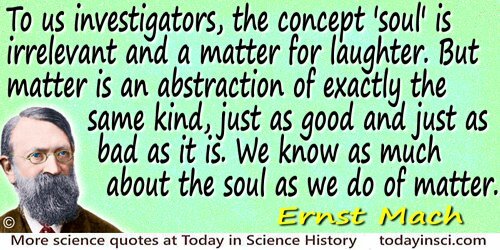 If all the individual facts, all the individual phenomena, were directly accessible to us, as we ask for the knowledge of them; no science would ever have arisen. In speaking of cause and effect we arbitrarily give relief to those elements to whose connection we have to attend … in the respect in which it is important to us. [But t]here is no cause nor effect in nature; nature has but an individual existence; nature simply is. Of all the concepts which the natural inquirer employs, the simplest are the concepts of space and time. In Ernst Mach and Thomas J. McCormack (trans. ), 'Space and Geometry from the Point of View of Physical Inquiry', Space and Geometry in the Light of Physiological, Psychological and Physical Inquiry (1906), 137. Originally written as an article for The Monist (1 Oct 1903), 14, No. 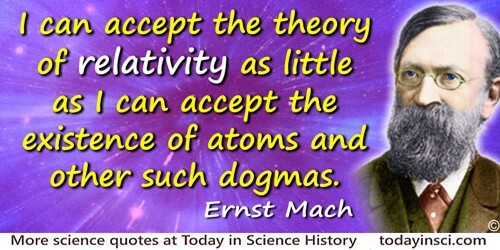 1, Mach believed the realm of science should include only phenomena directly observable by the senses, and rejected theories of unseeable atomic orbitals. 'The Economical Nature of Physics' (1882), in Popular Scientific Lectures, trans. Thomas J. McConnack (1910), 197. 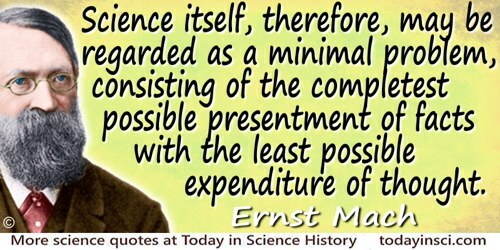 Science itself, therefore, may be regarded as a minimal problem, consisting of the completest possible presentment of facts with the least possible expenditure of thought. 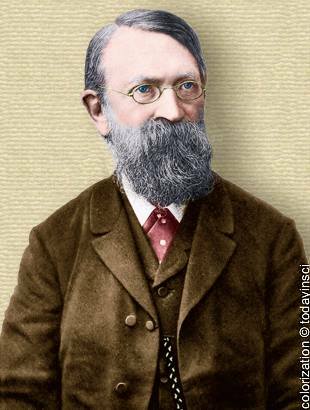 Ernst Mach and Thomas Joseph McCormick (trans. ), The Science of Mechanics: a Critical and Historical Account of its Development (1919), 490. 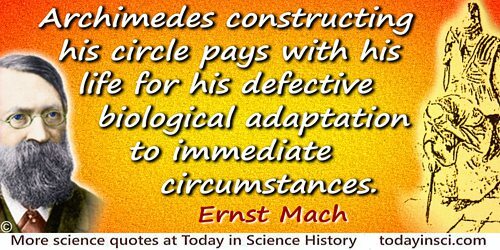 18 Feb - short biography, births, deaths and events on date of Mach's birth. Space and Geometry: In the Light of Physiological, Psychological and Physical Inquiry, by Ernst Mach. - book suggestion.